In a groundbreaking initiative that will impact up to 50 new hotels in the brand’s portfolio in the coming year, Marriott is making a significant investment in using modular technology to build its new hotel rooms. Digital Trends reached out to Eric Jacobs, the company’s chief development officer for Select Brands in North America, to more closely explore the company’s modular initiative. Although Marriot already has one modular hotel up and running — the 97-room Folsom Fairfield Inn & Suites in Folsom, California — the company’s journey toward modular construction began more than two years ago when Karim Khalifa, senior vice president for global design for Marriott International and his team began looking at modular development in Asia and Europe. Jacobs explained that the modular initiative started with a request for proposal that fielded proposals from manufacturing companies around the globe. Khalifa’s team then flew to each finalist’s building sites to assess the quality of the product, the manufacturer’s financial health, and their ability to scale. After this rigorous selection process, Marriott debuted the modular pilot project at its 2015 Connect conference. 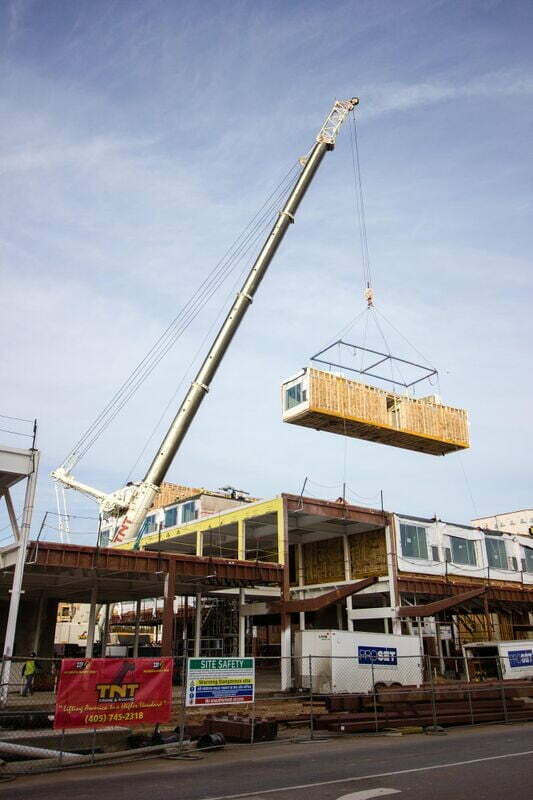 Thus far, Marriott is working with Guerdon Modular Buildings in Boise, Idaho; Champion Commercial Structures in Detroit, Michigan; and Oldcastle Surepods in Orange County, Florida. These advanced modular construction companies offer Marriott more than just cool ways to build hotels. They’re also solving real economic challenges in order to facilitate scaleable hotel development. Jacobs explained that the package that arrives at a build site contains two fully finished rooms and a finished hallway, as well as all the accouterments one ordinarily finds in a hotel room. Subcontractors on site then finish the electrical and plumbing connections. The modular construction model is particularly well-suited to Marriott’s Select Brands, which include generally standardized products like Courtyard by Marriott and Springhill Suites, as well as trendier brands like Aloft that appeal to the millennial set. Because the company doesn’t redesign the rooms in these products from scratch every time, modular companies can mass produce the units simply by calculating the room’s square footage, amenities, and bathroom requirements. As an added bonus, Marriott has been able to improve its sound transmission class (STC) scores with modular technology, giving them an edge over their traditional counterparts in terms of noise reduction. To further monitor their innovative new practice, the Global Design Team travels to each new “stacking” event to collect data in real time and talk with developers about best practices and emerging opportunities. Marriott also recently partnered with Seattle developers Stonebridge Companies and Washington State University to allow students from the construction management and hospitality management schools to study the quality and the efficiency of the modular construction initiative. Following up on Guerdon’s success, the second modular Marriott, Courtyard by Marriott, was stacked in mid-November on the campus of Washington State University in Pullman, Washington. 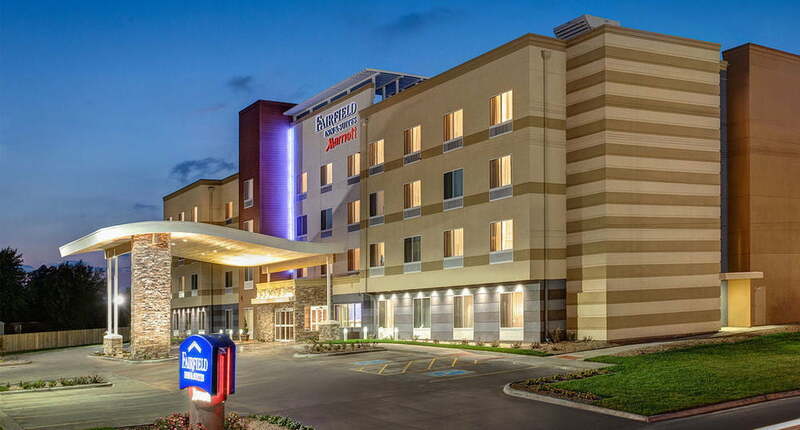 Marriott already has another four hotels in various stages of construction under the modular umbrella, including the Courtyard Pullman in Washington State, and the AC in Oklahoma City, Oklahoma. Two others are expected to open in the third quarter of 2017, the AC Louisville Kentucky and the AC Chapel Hill in North Carolina.